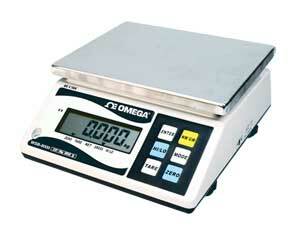 Each WSB-8000 Series benchtop scales feature a 6-key programming pad for easy set up. The conversion from kg to lbs, auto tare and auto zero are all easily done with individual buttons. The WSB-8000 is also light weight and durable with a large, stainless steel tray. Other features like overload protection and audible beep at preset target weight make the WSB-8000 a great choice for the classroom or laboratory. Other standard features include an RS232 interface and an easy-to-read backlit display. Low-battery and charging status are indicated on the display to help make sure your scale is always ready to use.